Michael Kors Lifestyle inaugurates its first retail store in UB City Mall, Banglore. 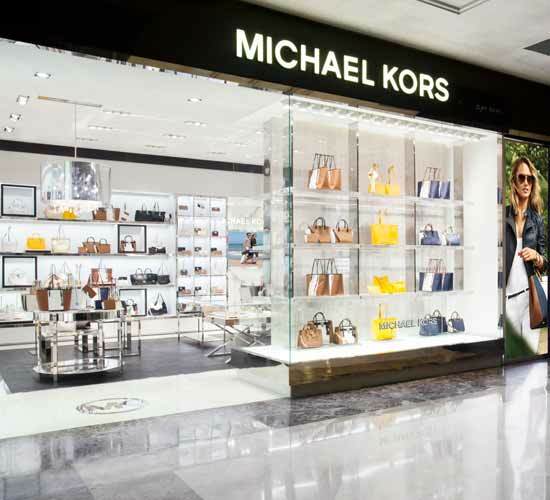 Michael Kors Lifestyle inaugurates its first retail store in UB City Mall, Banglore. Spread across an area of 983 sft store, the store showcases a mix of various collections of Michael Kors from watches, jewellery to eyewear. Besides, the store also carries a selection of the brand’s fragrances. Michael Kors’ in-house team designed the store to echo the label’s chic aesthetic, using zebra-print furniture, sleek metal fixtures and mirrored surfaces. What’s more, the outlet has glossy and large-scale vintage photographs that cover the walls, evoking jet set glamour and timeless sophistication. Michael Kors is an award-winning designer of luxury accessories and ready-to-wear. His namesake company, established in 1981, currently produces a range of products through his Michael Kors and MICHAEL Michael Kors labels, including accessories, footwear, watches, jewelry, men’s and women’s ready-to-wear, and a full line of fragrance products.